Thank you everyone for coming and playing with us in Belden Town. Here’s a small parting gift — a basket full of songs and mixes from artists at Priceless this year, as a way of showing our gratitude for bringing your A game to the beach party, so you can bask in the warmth just a little while longer. * And if all this goodness ain’t enough for you, you can download more False Profit artists on Bandcamp, here: https://falseprofitrecords.bandcamp.com. False Profit Records, a subsidiary of False Profit, LLC, announced today a new partnership with the country of Poland. Poland’s latest progressive success in Parlimentary elections — with an unprecedented 10% of the vote going to a new party supporting gay rights, abortion rights and soft drug legalization — has opened the door to new world of diplomatic relationships. Forward-looking corporations in both Europe and the US are looking to forge ties with these new political leaders. Ahead of the curve as usual, False Profit Records already reached an agreement with The Polish Ambassador. While the two have worked together in the past — most recently at the 2011 Priceless summit in Beldentown, CA — the new deal caries historical import. Financial Return, Guaranteed, since 2001. Here at False Profit, LLC, we employ a diverse team of researchers who focus primarily on the areas of life quality enhancement and cultural advancement. We’ve got disco camping on lock. But real advances in the art of science itself don’t come easily. Getting those advanced degrees can take years. Even after reaching the deepest inner circles of academia, progress often comes slowly. It therefore gives us great pleasure to announce another breakthrough from our False Profit Records subsidiary, in the form of Dr. Toast’s new full-length album, Gravity Is Quiet, released today. We believe his key insights into this under-explored quality of natural attraction will yield much happiness for listeners worldwide. An accompanying 4-track EP, False Sunrise, helps illuminate some of the still-unsolved mysteries of the natural world. We expect future research into the distortions of time, or perception of time, or perception to explain all the sunrises we end up seeing. For the time being, enjoy the most advanced soundtrack ever composed for morning, courtesy of Dr. Toast. 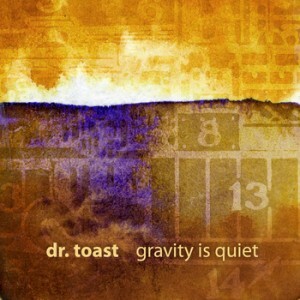 » Download the new album “Gravity Is Quiet” from Dr. Toast. SAN FRANCISCO — Amid growing concerns over the crisis in the US educational system, one thing has become clear: Billionaires alone are not solving the problem. Experts at False Profit, LLC, in association with Muti Music, have now turned to a new partner that sort of rhymes with the Bill & Melinda Gates Foundation. Not content to simply address the epidemic issues of poverty and race plaguing this nation, ill.Gates and False Profit Records are releasing the Schmunday School EP with eight tracks of highly enlightening downtempo. Proceeds will benefit the Goma Student Fund (GSF), which provides educational opportunities for children in Democratic Republic of Congo. of the education debate can nod their heads to that. 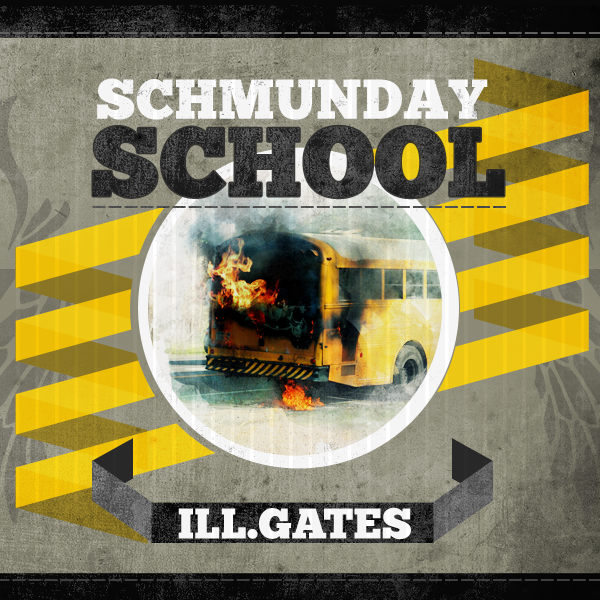 » Download the new free/charity EP “Schmunday School” from ill.Gates. » Invest in the San Francisco ill.Methodology Workshop. ill.Gates is a Toronto-based composer, performer and educator. He regularly tours internationally, and has headlined at such festivals as Burning Man, Shambala, the World Electronic Music Festival and the New Orleans Jazz Festival. His upcoming triple album The ill.Methodology is due out in September 2011 on Muti Music, as well as his highly anticipated online course for DJs and producers. Inspired by the generosity of American friends, GSF was established in 2002 to create educational opportunities for children in the Congolese town of Goma, as it rebuilds in the wake of a 12-year civil war and 2002 volcanic eruption. False Profit is passionate about pushing the limits of what a Limited Liability Company can be. We proudly transcend mere financial success by paying dividends to investors through more powerful currencies: cultural advancements and life-quality enhancements. False Profit has been providing Zero Percent Financial Return, Guaranteed, since 2001. Muti Music serves as a committed outlet for the commercial release of cathartic, expressionist and transformational frequencies in the form of audio waveforms. Based out of SF, Muti is a launch pad for some of the most unique and talented producers in the electronic music scene.